Penguins are one of the cutest animals you can see at the zoo and this video just makes them even cuter. 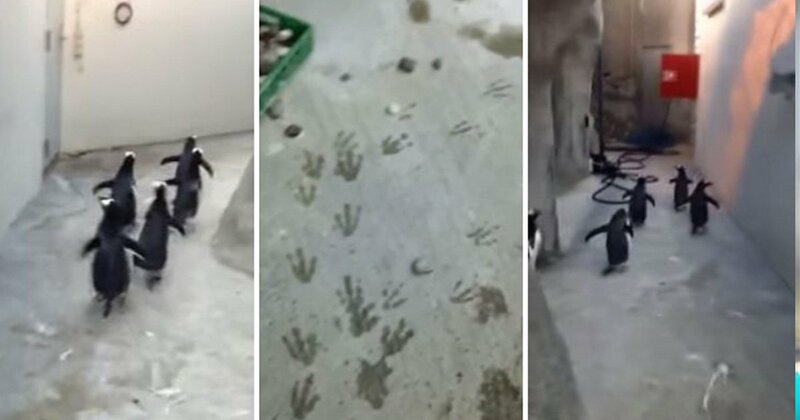 The footage was taken at Odense Zoo in Denmark when a bunch of mischievous penguins decided it was time to breakout. What the penguins were unaware of was that their wet feet had left a trail for their keepers to follow. The trail led round a corridor where the keeper found the little guys waddling along.